In this post we are going to answer an important question with expert’s perspective “Do cell phones really cause fire at gas station” or it is just a big fat myth. We can witness several videos from internet where a guy comes to a gas station and fills the tanks and suddenly fire starts from the nozzle of the gas tube or near the gas tank and everybody near rushes and try to extinguish the fire. Several incidents have made headlines around the world and the official’s explanation was the EM or electromagnetic waves from the phone which ignited the vapour from petrol/gas. We can see many videos on internet where the motorists talks on phone and try to fill gas and fire ignites suddenly. Such incidents left the general population in a worry that, will the same will happen to me? We can also see warning signs at many gas stations which tell us to switch off our phones. But really phone is the culprit? Or something else ignited the gas? Let’s find out. Does really phones cause fire at gas station? No, cell phones don’t cause fire. Experts say that there is no correlation between the fire ignited in the gas station and cell phones. 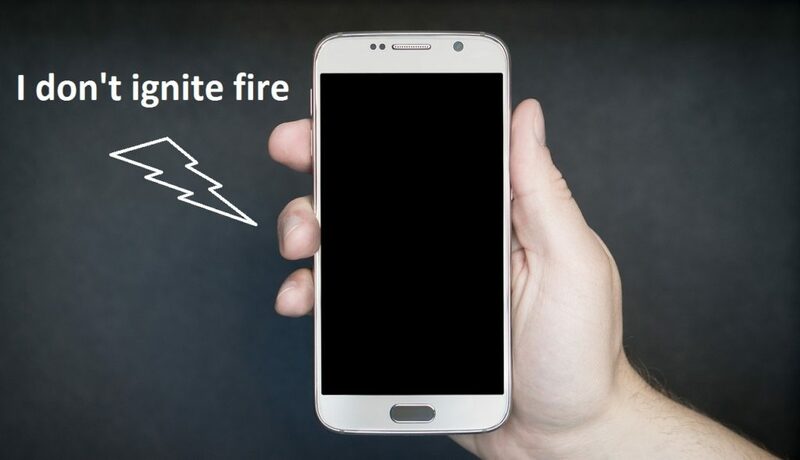 FCC or Federal Communications Commission made clear with several studies and concluded that wireless communication devices like smartphones don’t have the potential risk to spark and ignite fire. But there is a theoretical possibility that cell phone battery can cause a spark and ignite but this is possible only at perfect conditions. But this is just a theoretical possibility and it is far from practical situations. They also made clear that there is no documented evidence to show that cell phone ignites the vapour from gas/petrol. Several studies have been conducted around the world and these studies also came to the conclusion that cell phones don’t ignite fire at gas stations. We hope this cleared the myth and worries. What really ignited the gas/petrol if not the cell phones? Now we know that cell phones don’t cause fire at gas station for sure, but somehow the fire ignited, who is the real culprit? Expert says that static charge that cause fire and capable of igniting fire from the vapour of ignitable liquids. Let’s understand what is static disharge, how a flammable liquids burn and some terms related. Flammable or combustible liquids like gasoline or diesel, don’t ignite in its liquid from, it is vapour which actually burns. The liquid should release enough vapour only then we can ignite. The vapour of a liquid fuel is released at flashpoint. Flashpoint: The lowest temperature at which flammable liquid release enough vapour that can be ignited. The flashpoint for gasoline/petrol is -40 degree Celsius (-40 F), so even at freezing temperature gasoline can be ignited. So now the conditions are favourable at gas station and emitting enough vapour, the only thing left is flame or spark to ignite fire. Now let’s learn how to static charge is generated which is responsible for fire at gas stations. 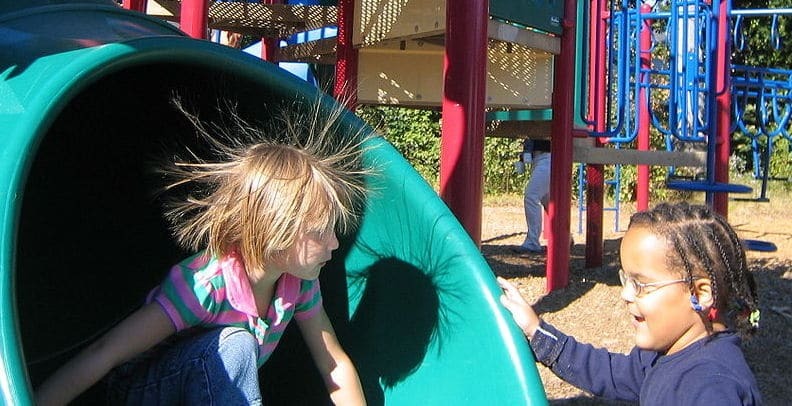 A static charge is generated when two surfaces comes in to frictional contact and separates; this creates an imbalance in the charge distribution in both materials. This can be between your cloths and your skin or hair and comb that charges one material more positively and other more negatively. To discharge the excess charge from the material either positively or negatively charged, we need a material that is uncharged or with opposite charge. When these to materials come in near enough, the electrostatic discharge occurs. When it discharges it gives out electric spark which could ignite the gasoline vapour and start fire. The electrostatic discharge can be several 1000 volts in magnitude, but it dies out so quickly that you won’t even notice or sometimes you might get a small shock. The spark is barely visible at pitch dark and in broad day light it is not possible to see, but it has the potential to ignite the vapour from flammable liquids. Now we know who the culprit is, let’s learn how to avoid the culprit so that you can fill your gas tank with peace. If you are working at gas station make sure to discharge your body’s static charge before touching the gas tube’s handle, this can be done by touching a metal chassis of any electrical equipment which is earth grounded and don’t wear cloths that can build static charge quickly. If you are living in a state or country where law allows you to fill your car’s tank by yourself, touch the body of the car for couple of seconds before you fill the tank, your static charge will be neutralized by car’s metal body. Cell phones don’t cause fire at the gas stations; it is the static discharge which causes fire. Don’t believe any videos around the internet which says cell phone causes fire. Always discharge your body’s static charge before filling the tank.